28 inch Red Amaryllis Artificial Christmas Wreath The perfect accent for a classic holiday celebration. 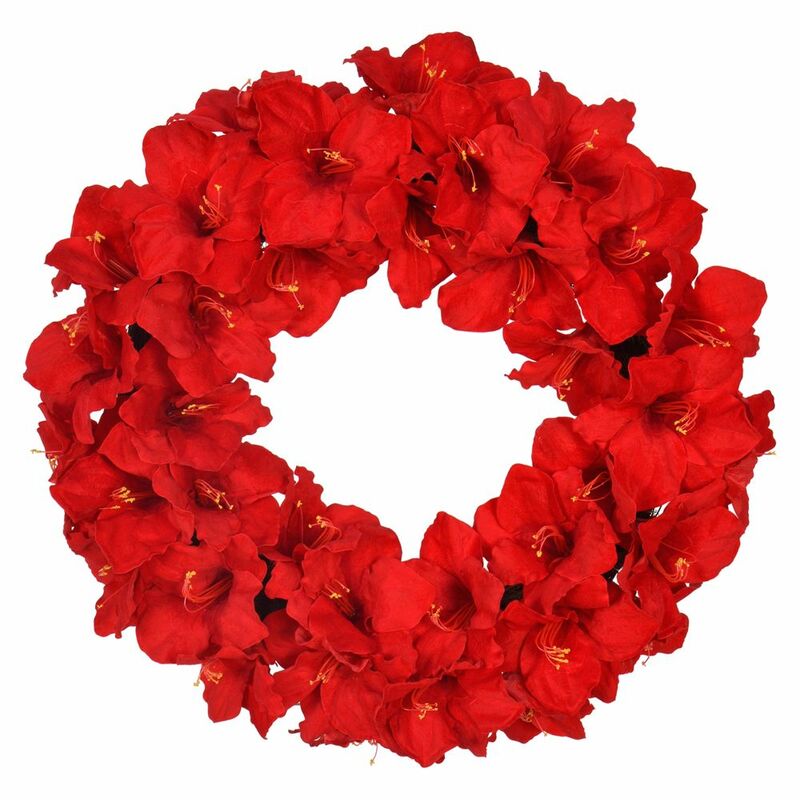 This 28 inch Red Amaryllis Wreath is beautifully decorated with 36 lifelike red amaryllis. Ready to hang on a wall or above the mantel, this bright, cheery design will bring a warm festive spirit to any room. 28 inch Red Amaryllis Artificial Christmas Wreath is rated 5.0 out of 5 by 2. Rated 5 out of 5 by Lolo from Christmas Joy!! Love love love this gorgeous wreath!!! Had best front door display on the block!! Arrived very quickly, price was great, looks stunning & weather did not damage it in any way! Almost can't wait for next Xmas to hang it again! !